Google “how to stop food cravings” and you’ll find over 46 million results. I haven’t read all of them, but I can pretty much guarantee they’re filled with bad advice. That’s because the best thing you can do to make a food craving go away is to satisfy it. Would you believe you can have this bowl of creamy goat cheese polenta with chickpea mushroom ragu on the table in less than 30 minutes! Made with instant polenta and an easy protein packed vegetarian ragu, this is some serious Italian comfort food! Sharing five thoughts from the week, including why you should probably skip reading “Girl, Wash Your Face” if you’re healing your relationship with food, last minute Thanksgiving ideas, what happens when you ignore your body’s cues, book and documentary recommendations for fellow history nerds, and a recap of a couple entrepreneur panels/classes I was on/taught last week. Thanksgiving is supposed to be about food, but with all the mixed messages about overabundance and restriction coming from diet culture, it can be a stressful day of eating. Learn strategies for not freaking out about food on Thanksgiving so you can fully enjoy yourself and celebrate the holiday without feeling guilty about eating. In this crazy mixed up diet culture we live in, sometimes it’s hard to know what a “normal” day of eating looks like. WHY I ate Wednesday post is to give you an inside look at intuitive eating in action, looking at what guides my eating decisions and how that plays out throughout the day. In this edition, I talk about eating on vacation, brain knowledge and body knowledge in intuitive eating, not eating vegetables, and regretting food choices. Have you heard of the phrase hygge? Hygge is a Danish word that don’t translate perfectly to English, but basically means a sense of coziness, comfort or contentment from an everyday moment. Now that I know the word for it, I feel like I notice those moments and am able to have some gratitude for it. Today on the blog, I’m sharing how I’ve been finding hygge lately. This easy vegan curried coconut corn chowder is packed with flavor, and is made dairy free using coconut milk. Sweet potatoes add creaminess and a little sweetness to the broth. Blend half, and keep the other half whole kernel for tons of texture! At a certain point in your intuitive eating journey, nutrition facts can be helpful, and not harmful. I usually don’t recommend reading the nutrition facts, but it can serve as a source of useful information when the meaning of those numbers is neutralized and detached from trying to manipulate your body size. Learn why nutrition facts are just information. This smoky and spicy harissa hummus is made extra smooth using a quick trick that makes the most deliciously creamy hummus! Perfect paired with Simple Mills sprouted seed crackers and raw vegetables for snacking! Sharing five thoughts from the week, including how to handle Halloween candy, for yourself and your child, normal weight gain in adolescence, my favorite mug cake, how I engaged in joyful movement this weekend, and a new contracting position that I’m really excited about! Last week I traveled to Washington DC for FNCE, our national dietitians conference. In today’s post, I’m sharing a recap of Washington DC eats, education sessions I attended and the fun networking events I got a chance to attend. How Long Until I Become an Intuitive Eater? It's the million dollar question for anyone struggling to make peace with food - how long does it take to become an intuitive eater? The truth is, as cliche as it sounds, intuitive eating is a journey, not a destination, and that journey may be different lengths for different people. My favorite cake was the inspiration behind this recipe for browned butter pear and dark chocolate baked oatmeal. My banana and berry baked oatmeal is a regular in our house, so I decided to switch it up with this more fall-appropriate version. I love to make this dish to use up pears that are a little past their prime. Perfect for a make ahead breakfast! In todays achievement obsessed society, sleep is often thought of as a luxury, or just an afterthought. I used the think the biggest consequence of inadequate sleep was feeling cranky and wasting too much money at Starbucks. It wasn’t until I started working at the VA with many veterans who had a difficult time sleeping due to PTSD, when I started to dig into the research and understand the importance of sleep. In this crazy mixed up diet culture we live in, sometimes it’s hard to know what a “normal” day of eating looks like. 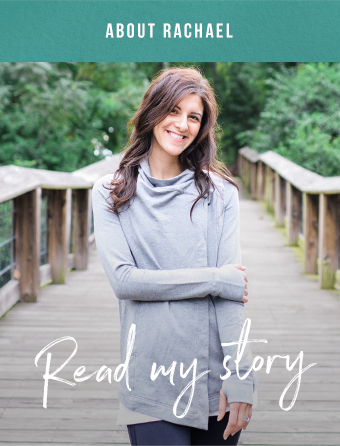 Today’s WHY I ate Wednesday post is to give you an inside look at intuitive eating in action, looking at what guides my eating decisions and how that plays out throughout the day. In this edition, I talk about grazing, why it’s ok to eat late at night, and how hunger varies from day to day. Is there anything more comforting than creamy pasta? Enjoy a bowl of comforting goodness in less than 15 minutes with this recipe for easy herbed ricotta fettuccine, made with an simple no-cook sauce of ricotta blended with garlic, herbs and olive oil. Add your favorite seasonal vegetables to make it a meal! IBS is incredibly common among people who struggle with eating disorders or disordered eating, but most of the dietary advice can make disordered eating worse. Learn about the relationship between disordered eating and IBS, and strategies for coping with IBS when you’re in eating disorder recovery.